Despite how thoroughly you iron their shirt or perfectly part their hair, there is simply too much time between when your kid leaves for school and when they sit down for their school photos. 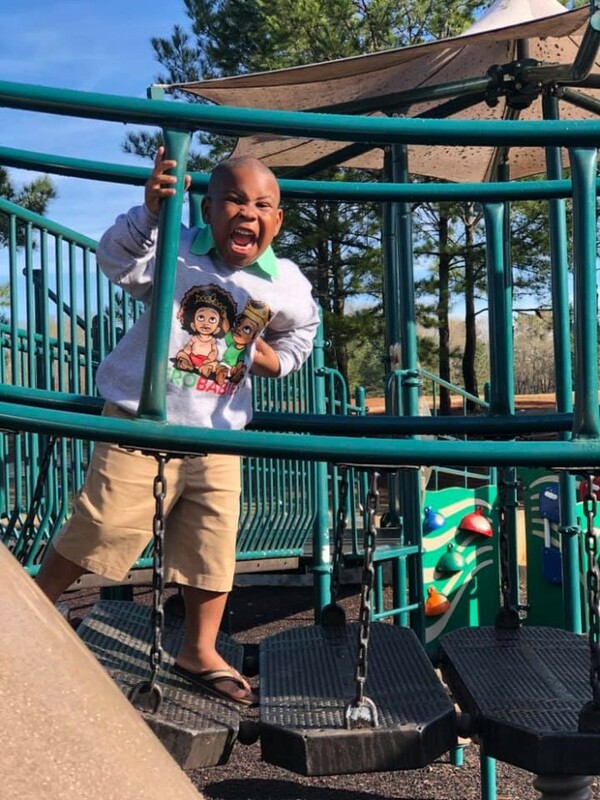 Any number of things could happen to jeopardize your little angel’s perfect picture—a ketchup stain from lunch, tousled hair during gym, or, in this very specific case, a magnificent roar. When Stronajai Miles came across Andrew’s school photos while going through his backpack, she was less than thrilled to discover her kindergartener’s fierce as hell pose. Obviously annoyed, Stonaraji’s logged in to Facebook to share the photos along with a mini vent session against Lifetouch School Photography, the company who took Andrew’s photo that day. What she did not expect was for the photos to start going viral almost immediately. After her conversations with representatives from Lifetouch, Stronajai wrote a follow-up post voicing her appreciation for both her son’s wonderful personality and all the positive feedback that helped open her eyes to how everything doesn’t need to be “cookie cutter” perfect when you have kids. As for Andrew, he still loves his school photos and thinks all the love he’s been getting, as a result, is just icing on the cake. And he does not have plans to stop roaring any time soon.